There is a range of braces available for orthodontic treatment. Generally, people prefer braces which are small and unnoticeable. One such brace is ceramic braces which are tooth colored and less distinctive. Dental braces can correct your misaligned, overcrowded or crooked teeth. Braces can change your look and make you look more attractive and confident after you’re done with the orthodontic treatment. Ceramic braces appear the same size and shape as metal braces, except that they have clear brackets that are of the same color as the teeth. In ceramic braces, the brackets attached to your teeth are clear or tooth-colored and hard to see while metallic brackets are very much visible and look unattractive. Clear ceramic braces are removed easily as soon as your treatment is finished. Ceramic braces are prepared from alumina compounds which are tough and non-porous, and appear the same color as your teeth. Ceramic braces are almost clear or invisible from a distance. Therefore it is the best option when you are going for a photograph and gives better results with archwires. The effectiveness of any brace depends on what type of orthodontic issue you are facing. In case of severe overcrowding, traditional braces are preferred while ceramic braces correct only mild misalignments. Ceramic braces are known for their toughness, they are made from a different material than metal braces. Unlike metal, this material can chip, crack or break when excessive forces are applied. Ceramic braces are quite expensive with respect to traditional braces, so if you play sports or engage in other vigorous activities where your jaw or mouth can be damaged, you might want to get traditional braces to prevent costly repairs. Clear ceramic braces are often a little more expensive than traditional braces. Ceramic braces cost $500 to $600 more than the average cost of traditional braces. Traditional metal braces can cost $3,000 to $7,000, while clear ceramic braces costs can range from $5,000 to $8,000. Your orthodontist can tell you the final price for your braces depending upon what type of braces you need. You may have to pay extra for the doctor’s service and materials used for a procedure which may not be covered by your insurance. Taking care of your teeth becomes more difficult once you get braces. Braces have many tiny spaces to trap food, and this trapped food causes plaque accumulation, which may lead to many other dental problems like gingivitis or dental caries. Brush your teeth several times in a day using an orthodontic brush. Clean your braces regularly. Hold your brush at an angle of 45-degree to clean around the wires and brackets of your braces. Brush from the top of the wire down to the bottom in to and fro motion. Floss every day at least once. Rinse your mouth thoroughly with mouth rinse to get rid of any food debris that is trapped in your braces. Avoid foods that are chewy, sticky, crunchy or hard. Visit your dentist or dental hygienist for regular checkups and cleaning. It’s very essential that you continue visiting your dentist regularly while undergoing orthodontic treatment. Routine checkups are necessary to detect if any cavities or signs of gum disease have occurred. During the orthodontic treatment, while you are wearing braces on your teeth, you will need to visit the dentist regularly for adjustments to your appliance. 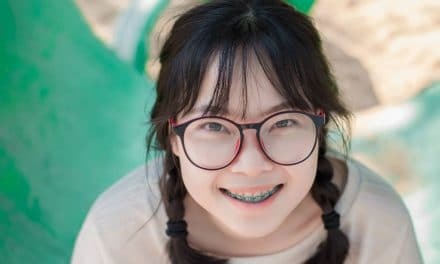 After a routine visit for an orthodontic adjustment of your braces, you may experience some pressure or even a slight amount of pain on your teeth due to braces. If the discomfort or pain persists or becomes more severe, then you should consult your orthodontist. Concerns about the fitting of your appliances and any problems with broken parts should also be discussed with your orthodontist immediately. If you have misaligned or overcrowded teeth, then you may need to get braces. Dental braces are devices that are used in orthodontic treatments to align and straighten the teeth. They also help position teeth with respect to a person’s bite. Braces that are less noticeable are preferred by most people. Although, the cost of such braces is more. Ceramic braces are often used as a common alternative to traditional metal braces as they have brackets made of ceramic or porcelain that are clear or colored the same as your teeth. Thus, they usually match with your teeth color and appear much better than metal braces. Taking care of your teeth after getting braces is essential as after braces are put in our mouth the cleaning becomes very difficult. The mouth becomes more prone to dental problems like gum diseases due to food debris that gets trapped in the braces. Visit you orthodontist regularly for routine checkups to prevent yourself for the unnecessary dental issue. NextWill you Benefit from Dental Composite Bonding Treatment?